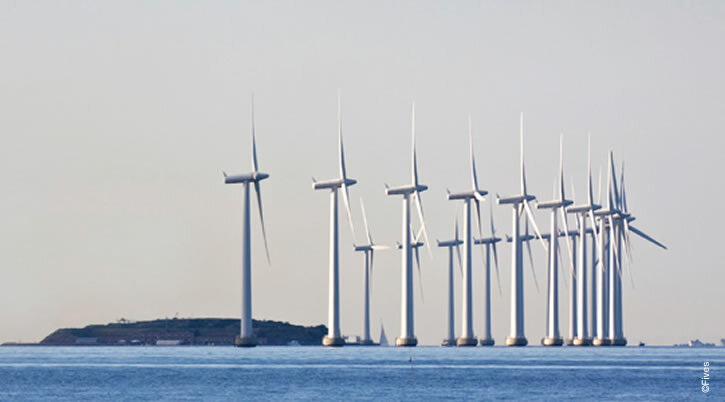 To reduce carbon emissions and meet the world needs, sustainable energies, in particular wind energy, are at the heart of environmental requirements. Thanks to a strong experience in the industry, Fives brings precise and reliable manufacturing solutions. The competitive wind energy market demands high quality standards, increased output, reduced cycle times, and cutting edge production and best service concepts. The ideal solutions to meet these challenges are found in new materials, advanced manufacturing technology, and the latest automated systems. Fives brings its expertise and machining solutions to respond to all the needs of the wind systems manufacturer whatever the size and tolerances of the work piece. Thanks to Cincinnati and Giddings & Lewis solutions, Fives supports wind turbine manufacturers over time, worldwide as they face, strong manufacturing constraints and requirements. Because of the time and expense to replace wind turbine parts, metal parts such as gearboxes and planetaries have extremely tight tolerances to insure their reliability. Fives boring and planer mills offer not only the capacity but the precision to handle these requirements. With swings from 1 to 9 meters, Giddings & Lewis turning centers have the capacity and accuracy to handle even the largest wind parts, such as hubs.